Get more brand exposure with Google Cardboard! Get full-colour custom branded Google Cardboard inspired virtual reality viewers. Viewers are made from durable laminated cardboard and offers real value for money with a longer lasting, easily cleanable option. They also come in a company branded protective sleeve for easy storage! Minimum quantity of 100! For orders less than 100, see our branded vinyl sticker option below. We also offer full-colour custom branded vinyl sticker Google Cardboard virtual reality viewers for quantities of 10 upwards. They also come in a company branded protective sleeve! 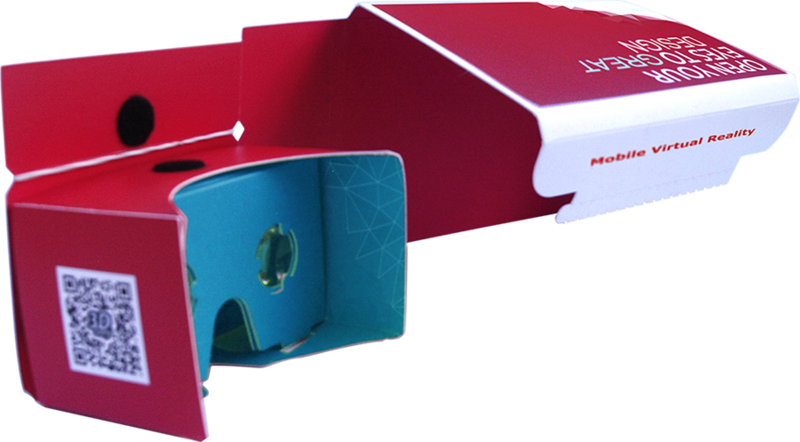 Get full-colour custom print branded Google Cardboard virtual reality viewers that can be mailed to your customers! The VR Xpress is a foldable and mail ready Google Cardboard version that’s easy to unfold and cost effective! This Google Cardboard also gives you an A4 size area for additional marketing and branding! You can include an introduction to your company; promote a VR experience or App; include a marketing or promotional message – anything you want your customers and potential customers to know! The thrill and excitement of unfolding, assembling and experiencing virtual reality will be such a memorable experience, they’ll want to share the experience! Top brands are using virtual reality (VR) to showcase their products or services in a truly experiential or immersive way. Stay ahead of the game by integrating VR into your marketing mix. This is the closest thing to reality! VR is being used to a rapidly growing number of industries – retail, fashion, travel, tourism, automotive, property, etc. 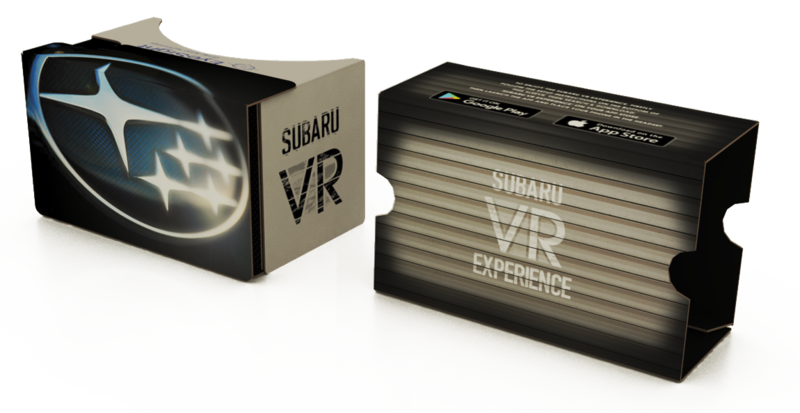 VR now gives businesses a creative, innovative and unforgettable way to introduce your products or services! Forget the old school brochures – with VR, you can bring your brochures to life and captivate your audiences by enabling them to virtually experience your products or services as if they were already there! 3DGuy offers full colour custom branded virtual reality viewers to help you maximise your brands awareness in a captive and innovative way! Viewers are made from durable laminated cardboard and offers real value for money with a longer lasting, easily cleanable option. They also come in a company branded protective sleeve for easy storage! Experience the spectacular world of VR! You can explore the growing library of Google cardboard demos available or download other VR applications, games or movies.